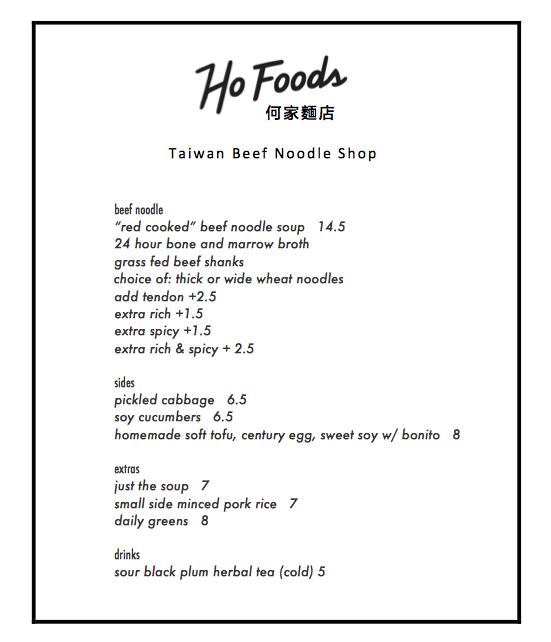 Ho Foods debuts as a full-time restaurant today at 110 E. Seventh St. between Avenue A and First Avenue. 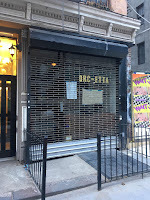 As previously noted, chef-owner Richard Ho, who has worked at Blue Ribbon Sushi’s Brooklyn and Columbus Circle locations for eight years, is behind this venture, which took part in several pop-up events in recent years. His speciality is Taiwanese beef noodle soup. 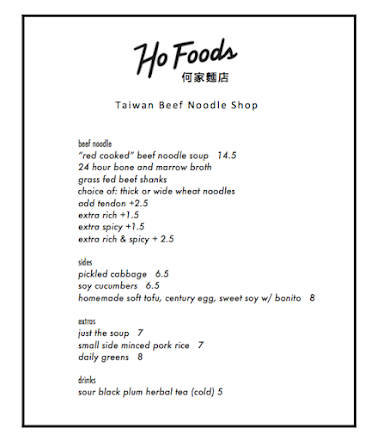 His idea was to mimic actual beef noodle shops where the soup, he says, is usually just complimented by a single hot side and rotating vegetable sides. Here, the menu will be rounded out by extras like pork rice and a few sides, including homemade soft tofu with century egg, sweet soy, and bonito. Down the road, he plans to introduce Taiwanese breakfast. “It’s super carb heavy. It’s delicious,” he says, pointing to sweet and savory soy milks and sticky-rice rolls that bundle crullers, pork floss, and other fillings. 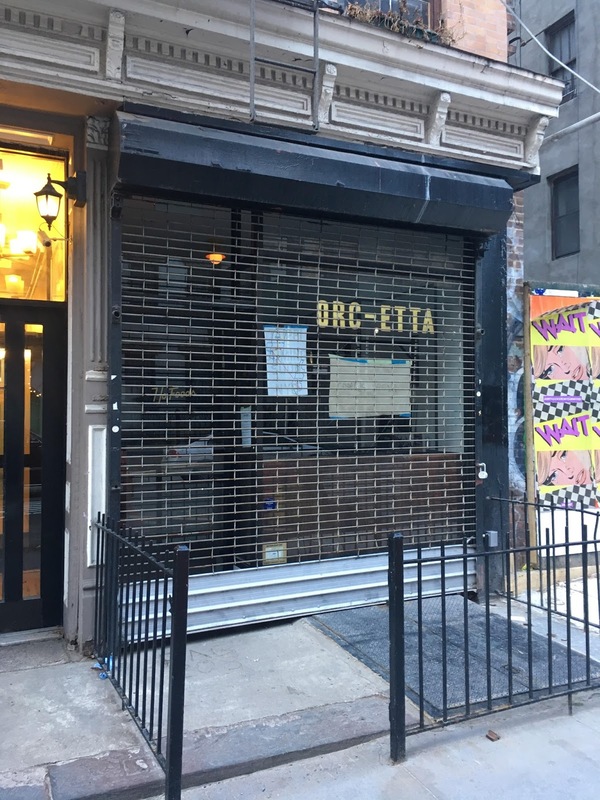 The smallish space was home to Porchetta until November 2016. Fourteen fifty for soup!? How much for just a spoonful? A dollar fifty for extra spicy?! That's 3oz of red pepper flakes. 3oz! Seriously, I'll have mine with extra tendon, please. Nothing says Mmm Mmm Good like a little extra tendon loving care. landlords ripping them off so now we get ripped off. I'm all for my kin making this area more into the East Asian Village, but those prices... In Taiwan, you can get at least five bowls for the same price. At least half of this has to be rent. This Ho would like to thank everyone for keeping it classy and not making any "Ho" jokes. Ho's gonna have to turn lots of tricks to afford that food. Glad to see I am not alone in the horror at the crazy food prices. Used to be so easy to get great food inexpensively here.